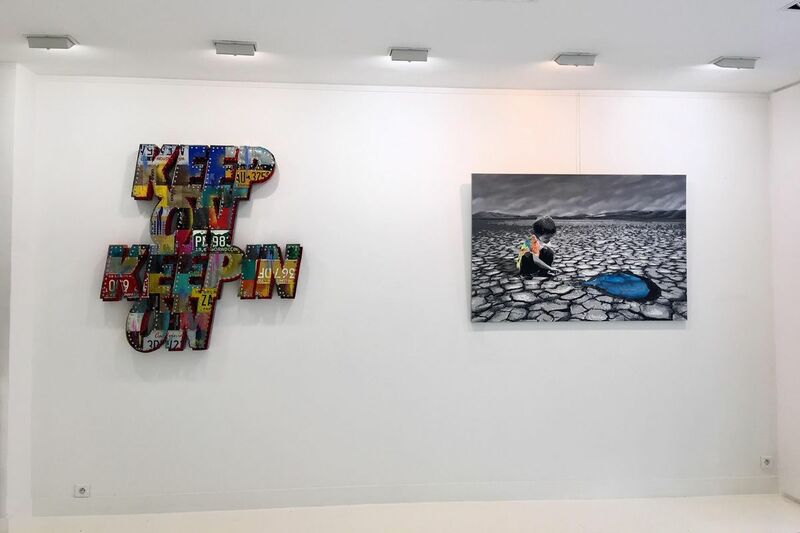 Galerie Geraldine Zberro Marks the Summer End with a Marvelous Street Art Show! 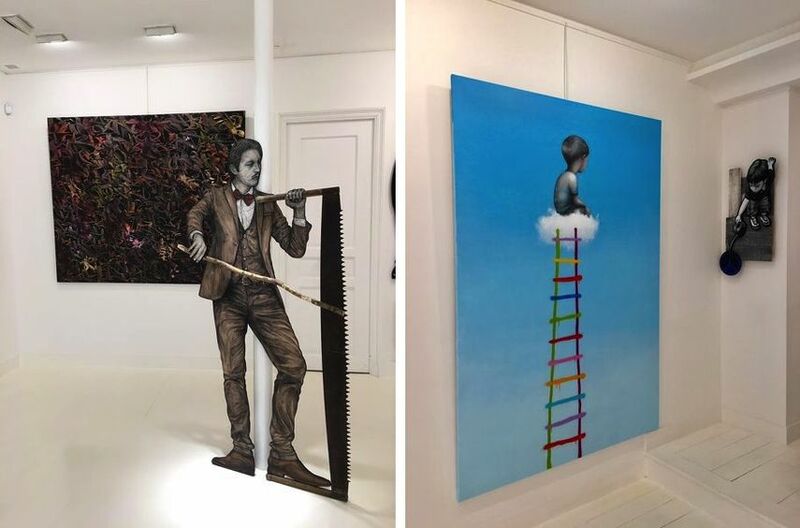 Ever since it first opened its doors in 2007, Galerie Géraldine Zberro has been promoting contemporary art in all its forms. 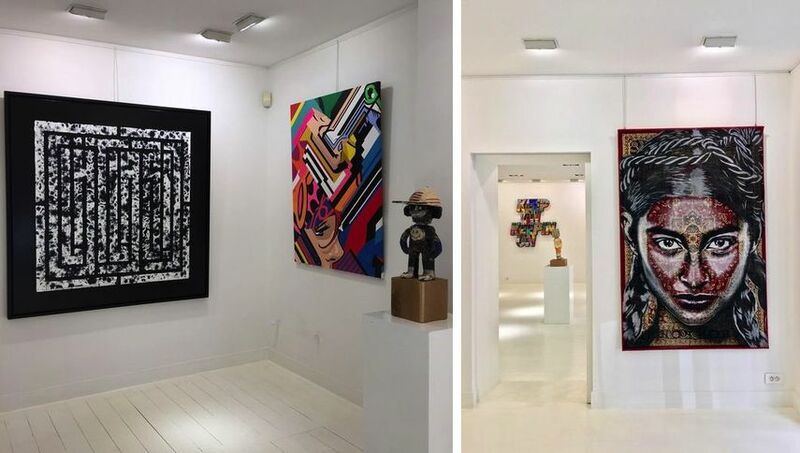 Located in the close proximity to the Champs Elysées in Paris, it presents outstanding local and international artists working in narrative figuration, pop art and street art, each bringing something new to the history of contemporary art. 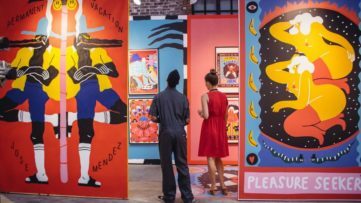 The gallery now says farewell to the summer with a vibrant group show bringing together artists from their roster. Titled Summer End, the exhibition features a diverse selection of contemporary artworks created in various disciplines. 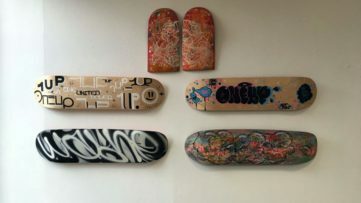 Participating artists are 13bis, Joe Iurato, Kurar, Levalet, Atlas, Mateo, Nasty, Pro176, Rafael Sliks, Risk, Seen, Seth, Snik, Sven, VadVad, and Zest. While 13bis sources images from art history for his intricate stencils, Joe Iurato creates multi-layer stencils which fall somewhere between simplistic and photorealistic, offering a distinctly clean and illustrative aesthetic. The French artist Kurar creates work which addresses complex social issues such as post-urbanization, climate change, terrorism, and violence in local and global terms, Levalet is known for site-specific scenes painted with Indian ink, which highlight his keen eye for topography. 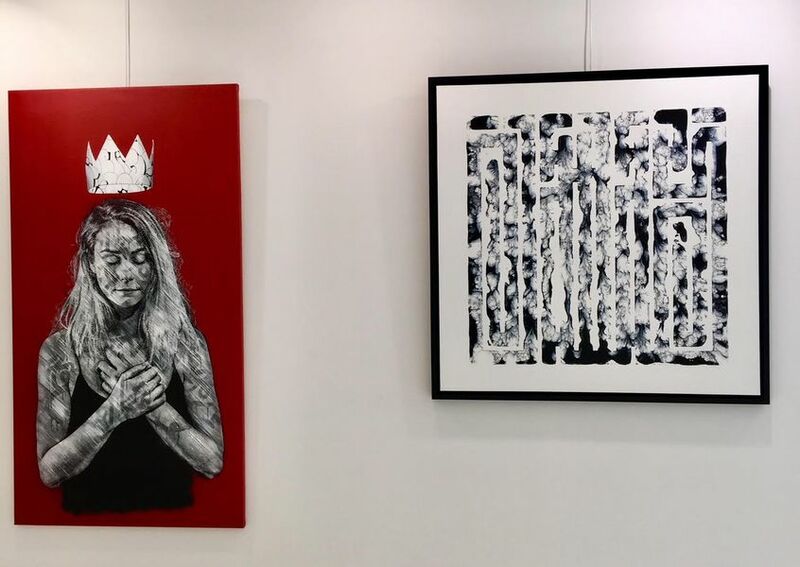 The French street artist L’Atlas is known for his explorations of calligraphy and geometry that became main aspects of his art, while Mateo uses a humanistic approach to question the perception of the world which surrounds us and the impact of the traditional on our western societies. Initially painting on the trains and street s of the French capital, NASTY moved into the gallery space with works which employ Metro plans as supports, keeping the spirit of graffiti alive. 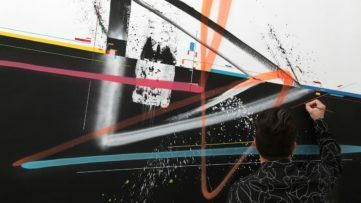 The acclaimed French street artist Pro176 is known for big hi-tech scenes which appear as if translated directly from comics, while the Brazilian graffiti painter Rafael Sliks plays with the graffiti language, creating abstract works inspired by the intense urbanization and modern city life in general. Regarded as Graffiti legends, RISK and SEEN were the very roots of the Street Art movement and the ones who started it all. 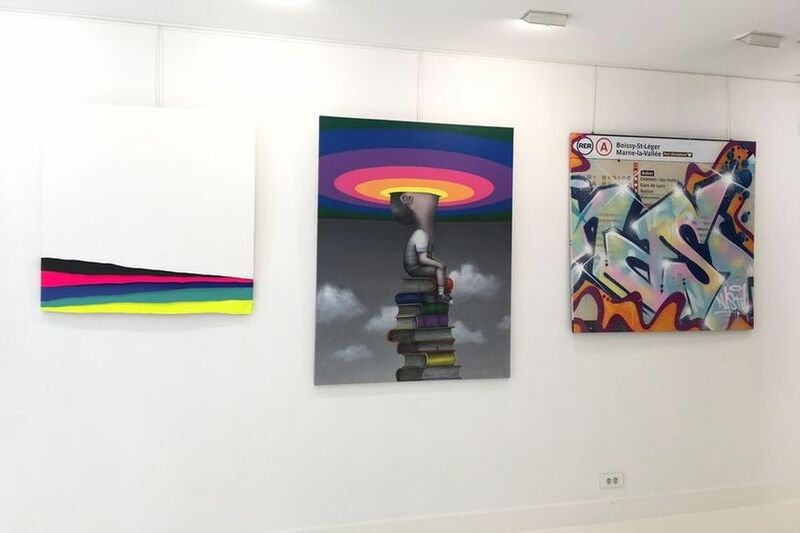 While RISK is known for his colorful style which explores the abstraction of color, SEEN is best known for vibrant and colorful lettering and masterful portrayals of mass-media cartoon characters and comic book heroes. Incorporating local symbols and subjects from his surroundings, Seth creates works which are both playful and political. On the other hand, the British duo Snik is known for their hand cut stencils which achieve a high level of realism. While the art of Sven draws from graffiti, using a technique characterized by rounded letters called Flop and Trow-up, Zest is known for a unique moving towards abstraction with the affinity of depicting decomposed movements. Lastly, VadVad is a multidisciplinary artist working in a range of media, embracing the imperfection of the line to forge his own visual language. As with each of their exhibitions, the upcoming show at Galerie Géraldine Zberro will offer a breadth of cultural diversity, providing a fresh look at the city and the world of today. The exhibition Summer End will be on view at Galerie Géraldine Zberro in Paris until October 6th, 2018. Featured image: Risk Rock, Kurar. All images courtesy of Galerie Géraldine Zberro.